A bill that hands tax-raising powers to the Welsh government has received Royal Assent. 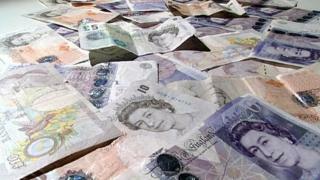 The Wales Act 2014 means a referendum could be held to give Welsh ministers the power to vary income tax. The Welsh government, now its official name, is also getting control of stamp duty, land tax and landfill tax, and can now borrow up to £1bn. First Minister Carwyn Jones said it "marks the next step on our devolution journey". The changes mean the Welsh government is now accountable for raising some of the money it spends. Power over landfill taxes, stamp duty and the aggregates levy will pass to Cardiff Bay in 2018. However, devolution of income tax powers will be subject to a referendum. Welsh Secretary Stephen Crabb said: "This is an historic day for Wales. "Today's Royal Assent of the Wales Bill will help create a robust and lasting Welsh devolution settlement. "It means that for first time the Welsh government is not only responsible for the money it spends but also for raising a portion of that money as well. "It is now important that they make full use of these new financial powers as soon as possible to help grow and strengthen the Welsh economy." Mr Jones said the act would allow the Welsh government to "develop a distinct tax policy which is fair and meets the needs of the people and businesses of Wales". But he said a referendum on income tax powers could not happen until "the issue of fair funding from Westminster is addressed". Politicians in Wales claim the funding mechanism for the various governments and assemblies is over-generous to Scotland and Northern Ireland, and believe it short-changes Wales by up to £300m a year. Mr Jones said: "The Wales Act 2014 gives the National Assembly the power to call a referendum over income tax devolution. "This is something I welcome, but I must emphasise that until the issue of fair funding from Westminster is addressed this cannot happen." Tax powers bill clears hurdle - how many more to come?